If top players (Bayern Munich, FC Barcelona, Real Madrid, Man. City, …) combine, they determine not only their own running speed, but also the speed of the ball. They master the “straight-drop principle” in perfection. 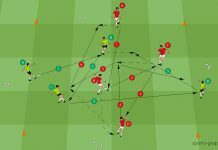 Dynamic diagonal and sharp passes change with short soft passes, which take the tempo back out of the (ball) game and then initiate the next difficult ball. 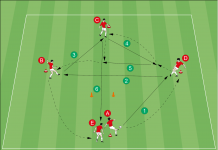 This can be a ball in the back of the defense or a diagonal pass to a sprinting player in the half-field or on the wing. 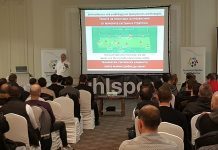 How can you coach the “straight-drop principle“? 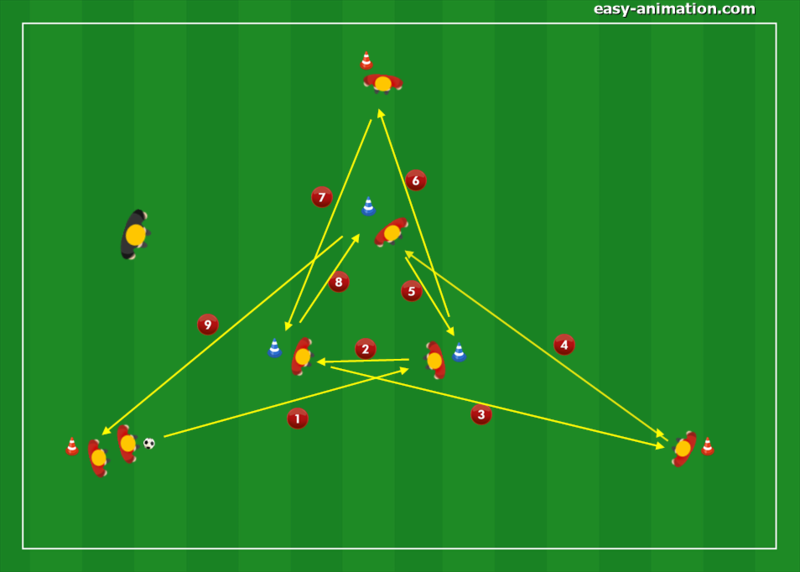 Here there is a drill/excercise in the double triangle win which the players play alternately diagonal (hard) balls and short (well-dosed) balls. 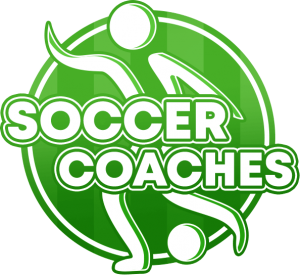 In doing so, you develop the feeling for the tempo of a ball, which they consciously control and use for their passing.